As many of you know, we recently bought our first home. 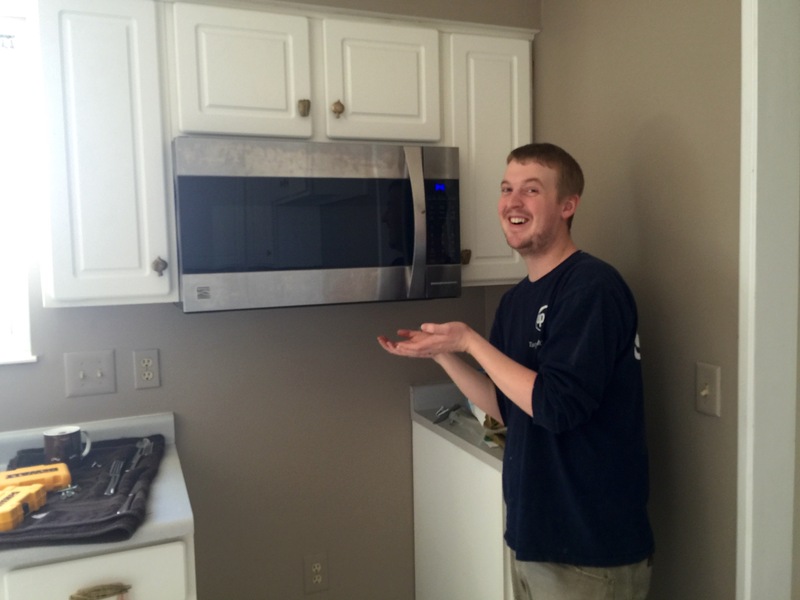 One of the perks (in our opinion) of buying our first house and it being a foreclosure was that it needed all new appliances because the previous owners decided to take those with them, which meant we got to pick out exactly what we liked! The downside being to this silver lining is that appliances can easily become expensive, especially if you happen to have a particular type in mind. So what’s a pair of new home owners to do?!? Glad you asked! 1. Shop Around: This is part of the fun! Decide what style and brand you like as well as what is important to you and what features you could live without. For us this meant we wanted a double door refrigerator, a gas range with a double oven (for our nightly baking and cooking endeavors) and a large capacity washer and dryer ( gotta think about the future when buying things that will last awhile). We also really liked the look of stainless steel verses other colors. We also didn’t want to buy difference appliances from difference companies since we needed to buying all of them. So finding a set was a priority to us. 2. OUR BIGGEST TIP – Hit The Outlet Stores: Can we just say how much we LOVE Sears Outlet! It is seriously appliance heaven! After pricing how much the appliances we liked at the regular department stores would cost us we decided to go and check Sears Outlet out, and are we glad we did! 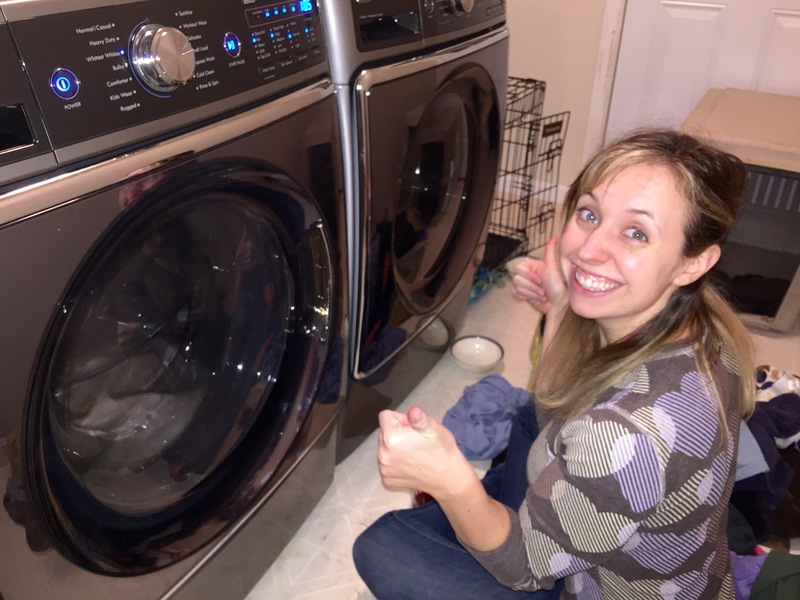 We were able to find the appliance set that we liked and (best part) at a 60 – 80% discounted rate! This meant that we were able to snag all the appliances in the line we wanted (including our washer and dryer) for the cost of the Refrigerator at retail! Basically how these stores work is they take the inventory that is returned by the customer, who originally purchased it from the department store. Then they inspect it and decide if it is in sellable condition. If the appliance was returned because of a malfunction they fix anything that needs to be replaced on the appliance and then they place it in these discount stores at a discounted rate. Some of the piece may be perfectly fine, some may have never been used even but simply were returned because of a ding or dent. Some have nothing wrong with them at all but were simply returned because once the customer brought them home realized they did not like them for whatever reason. That is what happened in our case. 3. Look For The Appliances That Are Marked As “New” or “Like New”: We learned this trick of the trade from befriending one of the store associates (as my great grandmother would have said “You catch more flies with sugar then vinegar.” lol) When you are looking at the outlet stores the appliances that are marked as “New” are just that, brand new appliances that had never been used but were returned because the customer decided for whatever reason that they did not like them. So they literally went right back on the moving truck to the store, if they were ever even taken off in the first place. If you can’t find any marked as “New” look for “Like New” which means the customer had them in their home for a few days, barely used them (if at all), and then decided to return them. When you use this trick of the trade you are getting brand new name brand appliances at the discounted rate. 4. Patience Is The Key: If you are trying to piece together a set like we were or are looking for a specific piece that goes with your other appliances you have to be willing (and able) to wait it out a bit. Sometimes the discount stores will have a part of the appliance set except for one or two pieces. There are a few options for piecing together a set when this happens. You can look at other discount store locations near by or you can go ahead and spend the extra money to buy the appliances you need to complete the set new from the department store. Depending which outlet store you are working with they may have a website that you can use to look at what they have in stock in their various store around the country, but if you were to purchase the appliance from a different store you would have to pay for shipping and sometimes that cost can make it not worth it economically depending on where it’s coming from. With a little bit of patience and determination we were able to find each appliance (marked as New) in the line that we liked (Kenmore Elite) at either our home Sears Outlet store in Florence, KY or the neighboring one in Cincinnati, OH, and for us it was a well worth it pay off! 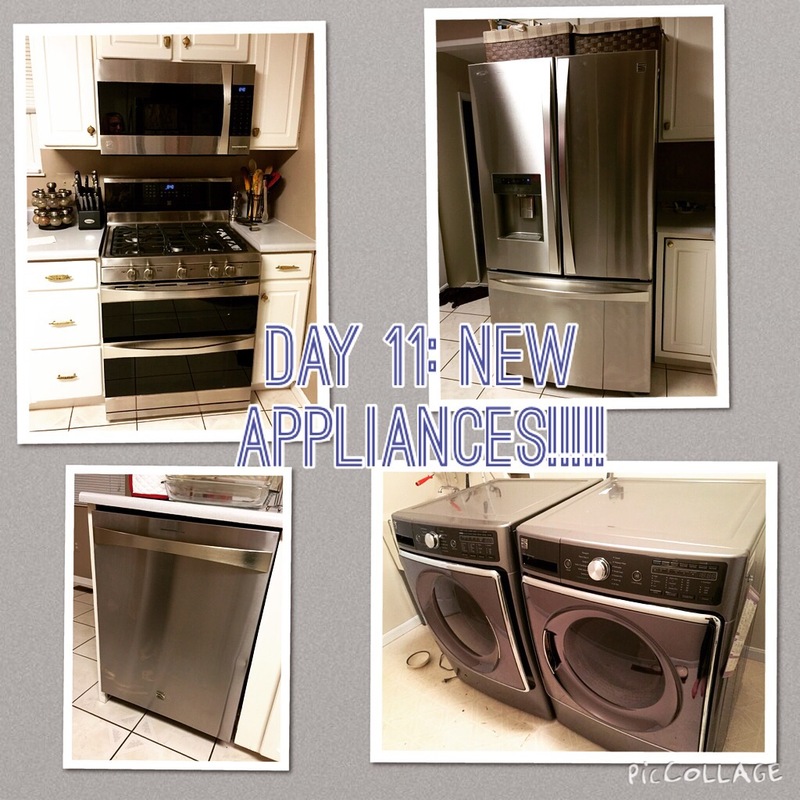 We have been living with our new appliances for almost two months and they have been great! We hope this information is helpful and wish you the best of luck in your appliance search!